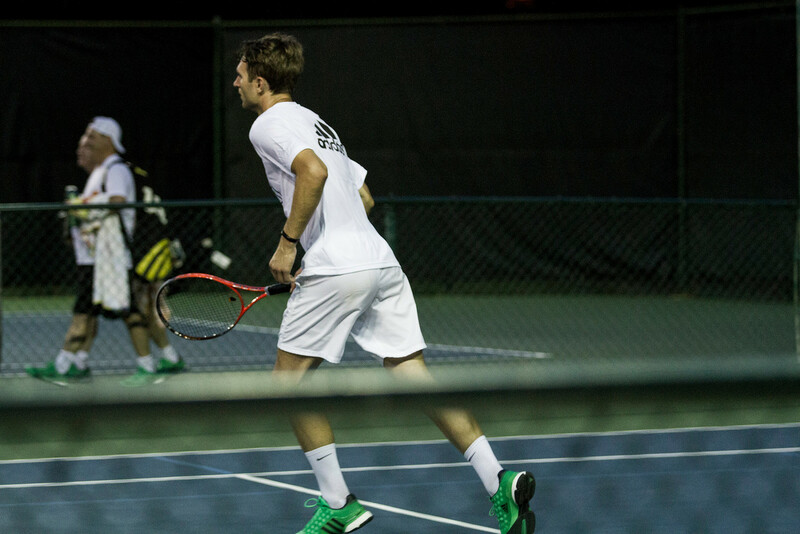 Nicolai Schwarzkopf: Exploring the city through his love of tennis. I admit, I'm a little obsessed with tennis right now. Most weeks, my happiness revolves around tennis. I love playing around the city, from Central Park, to Queens, to along the Hudson river. The setting is always amazing and it gives me a special way to explore the city, as I ride my bike to and from matches. My grandparents introduced me to tennis at a young age. I enjoyed it, but I was more suited for football, which I played from middle school through college. Once football was over, tennis became my competitive outlet. I traded hitting other players for hitting a serve as hard as I can, then rushing the net and using my height to my advantage as I try to slam a winner. My style may not be as pretty as Federer's, but it's worked for me so far. I like the flexibility of playing whenever possible. It is usually easy to schedule a match if you send a mass email a day or two in advance. So far, it has to be winning the July Tourney against Shantanu Godbole. Shantanu is a really good player but for some reason, I hit every shot the way I wanted to that day, and I won pretty easily. I just felt "on" that day! And got a pretty sweet trophy as a result. I wouldn't say I've played anyone enough times to warrant a rivalry. But the first time I played Harry Richardson, he beat me, and it disappointed me because I thought I should have played better. So when I played Harry again in the Summer Competitive playoffs quarterfinals, I was excited to get a chance at redemption - we played 3 sets and I barely won, but it was a great feeling. Would be nice to have more tournaments or possibly weekend round robins. I'm all about competition, although it's nice to play some "regular season" matches too. Probably Federer, even though my style is nothing like his. I wish it was, because he makes the game look beautiful. Tom Trotter is probably one of the most passionate and hardest promoting players in all of Tennis League Network. We absolutely love his dedication to the game and helping us try to grow the program. Since around March 2012. 5.5 years. From a flyer posted on my local tennis courts. Usually 3 days per week. 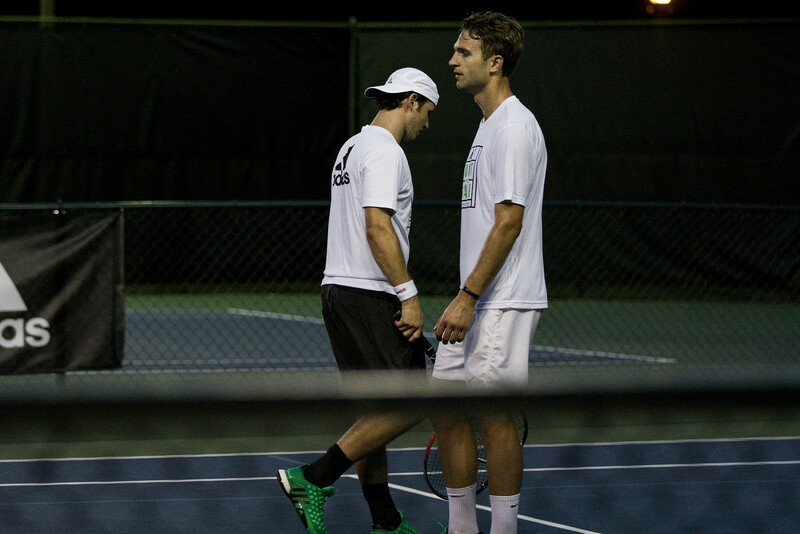 The league makes it easy to meet new tennis opponents. The flexibility of scheduling and playing matches. The generally high quality people one meets and interacts with through the league. The online record keeping. 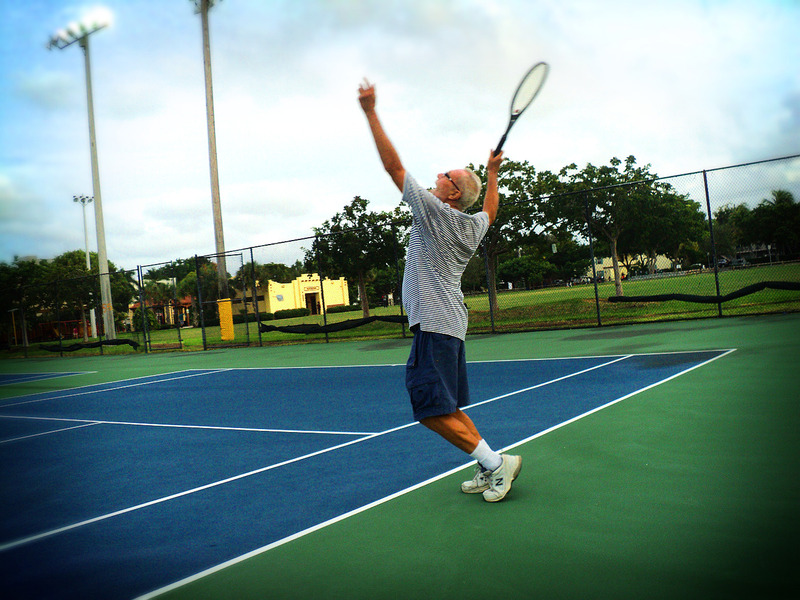 The End Of Year National (now the East Coast) tournament at the Crandon Park Tennis Center on Key Biscayne in Miami. They're all memorable in some way. I like playing people who are generally better players than me but who I'm competitive with. I usually learn the most from these sorts of matches. The league has been a continual source of new friends and valued acquaintances. It's one of the most important components of my lifestyle, which keeps me engaged, and active, and about as fit and healthy as I can expect to be at my age. It keeps my spirits up. I played almost every day for about a year when I was in my late 20s. Then picked it back up again when I moved to Fort Lauderdale in 2009. 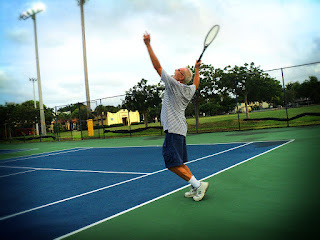 I was just hitting against a practice wall a couple of times a month when, one day in March 2012, I noticed the flyer advertising the Tennis Fort Lauderdale affiliate of the Tennis League Network. The skill involved in hitting the ball well, consistently. The generally high quality people one meets through tennis. The fact that it's regularly televised and very popular throughout the world. It keeps me regular. It complements my artistic endeavors. Ken Rosewall, because of his super solid style of play, and the fact that he was a top world class player for almost 25 years in the 50s, 60s, and 70s. Bjorn Borg, Jimmy Connors, and John McEnroe for their styles of play. And, of course, Roger Federer. Tell us a little bit about yourself, for example: What do you do? Where did you grow up? What are your hobbies (besides tennis)? Feel free to share any interesting details about your life. and electronic keyboards, and painting (acrylics and watercolors).